We all know that Water plays a very important role in our life, health, etc. Even the Planet Earth where we all call our place of abode is surrounded by water. Water is a good source of living and we need it to stay hydrated all throughtout our existence on earth. 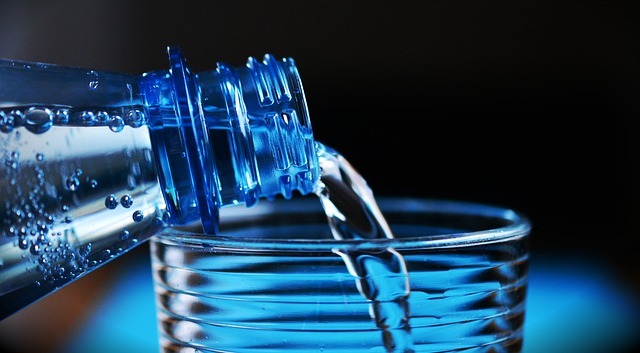 There are times that we might forget to take water or not take enough water for our daily consumption which amount to 8 cups of water per day, water washes off toxins from our system and if we dont take water we invite different kinds of ailments or problems that we can actually avoid if we take water daily. It will be very nice if we make taking water a daily habit and this is achieved by drinking a cup of water when we wake up from sleep every morning and drink more cups of water during the day. Unwanted toxins in our body system will be flushed away through urine and this also helps to get rid of bacteria living in our bladder and kidney. There are some diseases for example, Urinary Tract Infections which can be caused by less intake of water. Also the kidney are very sensitive and easily overthrown by disease. You can agree with me that being hydrated, our organs will be healthy, toxins will be flushed out and we will not be prone to disease. Immediately puberty sets in, many of us suffer acne, breakouts, white heads and pimples. Some skincare products won’t do much because many of them contains chemicals that might be harmful to our skin. The only way to minimise this, is by getting rid of toxins that are clogged in the epidermis which causes redness, irritations, itching and blackheads. Intake of water daily will be help in making our skin glow and healthy because the water will wash away every unwanted particles deposited in our body. Water is a source of slowing down the process of aging and that in turn keep you looking younger with the help of fitness exercise. During summer time, we must endeavour to stay hydrated all the time. Being dehydrated can lead to many health problems. Scientifically, the natural way we release heat from our body is through the expansion of vessels. When you are dehydrated, a higher temperature is expected to expand the vessels and this is the reason why we feel hot in summer. So to feel cool in summer, you will need to stay hydrated. Naturally, during summer because of the hot weather we feel thirsty alot, so it’s a prompt for us to drink more water in other not to be dry. To keep our weight or weightloss in check, we are expected to drink water daily as this flushes out toxins, keeps us full, helps our food digest easily, reduces constipation which makes our stomach bloat, etc. Water help us to maintain our weight when we atleast drink 1.5 liters of water daily. One of the roles of water in our life is to make sure that our muscles and bones function well by lubricating our joints. Staying hydrated fights off fatigue and can help to reduce calf muscle pain. Drinking up water keeps our stomach healthy, as it eliminates some harmful toxins and lowers chances of stomach ulcerative, acid and gassing. As Apple is good for constipation, so is water, likewise if you are suffering from dry mouth, darker urine, fatigue or dizziness. Always endeavour to drink water to enjoy its health benefits and increase your life span. Water also lowers high blood pressure by preventing cardiovascular disease attacks. Our blood has 92% water which helps our blood move easily. It’s amazing all the healthy benefits we get from water and we never seem to drink enough. We get caught up we fancy coffees or energy drinks, and sodas. Yes, you are so right. Even when we get thirsty manyou of us grab a soda or carbonated drinks. What's up, yup this paragrazph is actually fastidious and I have learned lot of things from it about blogging. so whrre can i do it please assist. What a stuff of un-ambiguity and preserveness of precious knowleedge concerning unpredicted feelings. Very descripptive article, I loved that bit. I have read so many content about the blogyger lovers bbut this article is really a pleasant paragraph, keep it up. I don't think people realize how important it is to keep the body hydrated but your article points out many good reasons so that we can stay healthy and keep our body functioning properly.